What Is Happening to Science Proficiency In The United States of America Among Special Population Subgroups? Below is a dismal picture of what is happening with Science Proficiency in the United States of America! Carefully look at the tables below with data coming from the US Department of Education titled “Report to Congress on the Elementary and Secondary Education Act State-Reported Data for School Year 2008–09. 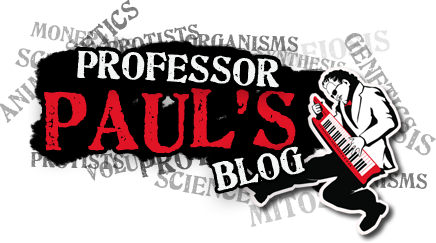 I have decided to a take a radical education approach similar to what the “Ed Show” does with social and government issues on MSNBC daily. Now which cable news network is going to give me a show? 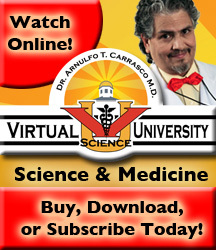 I am ready to go to work and take Virtual Science University to the next level! I’ve done much research for the last nine months where I can go to bat with any Republican or Democrat legislator. Both Republican and Democrat Legislators have allowed the atrocities below to happen. The results are dismal in Science Proficiency in this country. They along with all the school boards who allow for the status quo to continue is not acceptable to me or to my research group here at Virtual Science University! Now which philanthropic foundation or TV Cable Network is going to step up and help me get the 10 million plus youth who need to be served in this country and who are part of the subgroup population groups below who will be taking biology next year at the Freshman or Sophomore level in high school? Four years ago the number of children being proficient in 5th Grade Science was appalling in the states of California, Florida, Arizona, and Nevada among Hispanics and Afro-Americans. This coming year, they will be Freshmen in high school. In states such as Texas and California they have to pass an end of course exam to obtain credit in their respective science classes. Numbers are also appalling for Native Americans being proficient in Science in the states of New Mexico and Arizona. The numbers are below 40% in the aforementioned states. At the high school level, the population subgroups of students with disabilities, who are economically disadvantaged, who have limited English Proficiency and who are Migrant are also taking a hit with the element of equity. In the 2008-2009, students with disabilities struggled with Science Proficiency in states of California with a pathetic 17% passing rate, with the states of New Mexico and Arizona even further behind with a passing rate of 13% and 15% respectfully. Students who are economically disadvantaged also struggled with Science Proficiency in the states of New Mexico with 22%, Arizona 23%, Florida 24%, Bureau of Native American Education with 28%, Kentucky at 29%, California at 30%, and Texas with 52%. LEP (Limited English Proficiency) students struggled in the states of Arizona with only 2% Science Proficiency. For me this is an outright discriminatory number! Translated, it means Arizona state officials don’t give a Da _ _ about what happens with this subgroup! Very close to Arizona in the this category are the states of Florida and New Mexico with 5%, Kentucky and Illinois with 9%, California with 10%, Bureau of Native American Education with 12%, Colorado with 18%, Texas with 21%, and Nevada with 23%. The migrant subgroup is important to me personally since all of my brothers and sisters were migrant students. This is one of the main reasons why my brothers and sisters did not graduate from high school because they were moving from school to school with no consistency in continuity of the curriculum. Numbers in Science Proficiency are low in the states of Arizona with 14%, Florida with 15%, California with 26%, Colorado with 31%, Kentucky with 35%, and Texas with 42%. There is a solution to this problem in the form of Virtual Science University. Myself and Arnulfo Tarin Carrasco MD can completely identify with these subgroups since both of us at one time or another were members of some of these same subgroups. For this reason, we have created Virtual Science University to serve the needs of these subgroups in the area of Biological Science Education. We are waiting for philantrophic foundations to step up and help us fund a full year subscription of Virtual Science University to all of the upcoming Sophomore students in states of Texas, California, Florida, Illinois, New Mexico, Colorado, Arizona, Nevada, Kentucky, and the Bureau of Native American Education.